James Henry Massey for whom our town is named was born in New York on June 23, 1853. His parents were William Massey, born in Canada in May 10th, 1829 and Catherine Brown, born in Ireland on April 27, 1832. He was first married in 1875 and a second marriage occurred January 23, 1890. James Henry Massey's first wife was Lavinia McVeigh and his second wife was Ida Belisle. His daughter, born in Massey in 1897, was named Sabina and he also had a son, Carl, born in 1905 and another daughter named Vivian in 1906. He visited the Massey area many times between his two marriages. In 1891, he bought a farm and settled nearby. He had also worked the St. Lawrence River and the Great Lakes. James Henry Massey died of Typhoid Fever, September 18th, 1906 in Ogdensburg, New York. He is buried in a small cemetery on Grenadier Island, Leeds County, Ontario where he spent most of his childhood. The family farm is a protected site with Parks Canada. 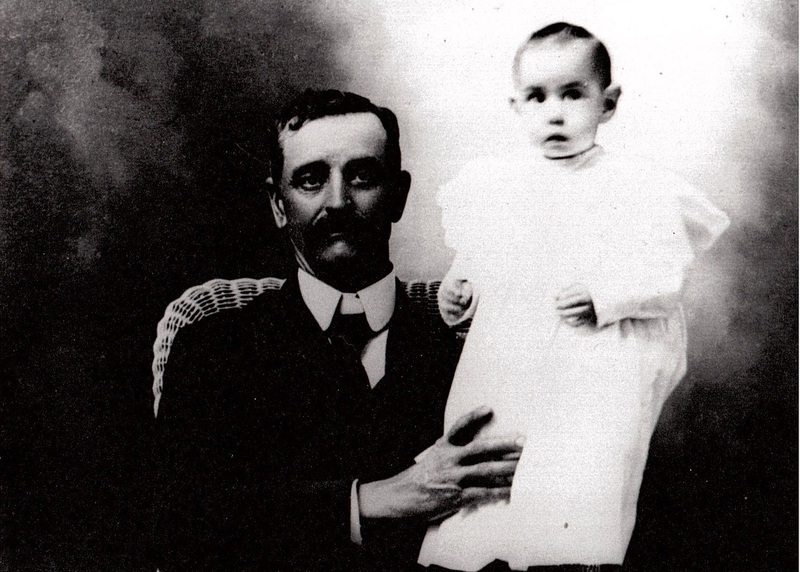 This is a photograph of James Henry Massey and his daughter Lenore, born 1903. "It is wonderful to see this website. James Henry Massey was my great great Uncle; my great grandfather's eldest brother. I am so pleased that you have included his biography."